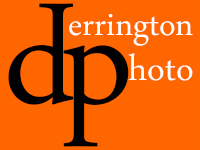 Warren Derrington Evans is an award winning freelance photographer based in Cornwall. He travels across the south of England for commission work but is willing to travel anywhere to accommodate your needs. His main interests are Landscape, Portrait and Reportage Party and Wedding Photography. Please look at his Portfolio and get a feel for the type of work he does. Warren uses the latest Canon digital pro cameras and equipment. He will consider all commission based work and projects from individual clients, groups and companies.